Aleksandar Serdar was born in 1967 in Belgrade, Serbia. He graduated in 1988 from the “Art Acadmy of Novi Sad” , and received in 1992 his Master of Music at the Peabody Conservatory of Music in Baltimore where he studied with Leon Fleisher for five years. Later and continued studies with Sergio Perticaroli at the Academy of Santa Ceilia in Rome. Aleksandar Serdar won several international awards including Monza, Carlo Zecchi, Vercelli-Italy, Palm Beach and Cincinnati in the USA , Arthur Rubinstein in Tel Aviv (4th prize)..
Aleksandar Serdar played in Italy (Conservatory hall in Milano, Palermo, Venezia, Roma, Bari,Trento, Reggio, Torino),Unoted States (namely Avery Fisher Hall at Lincoln Center in New York, Cincinnati, Cleveland, Washington DC), France (Paris-Musee d’Orsay,Auditorium du Louvre, Theatre du Chatelet, Nice, Lion, Orleon, Marseil, Toulouse, and Festivals such as La Roque d’Antheron, Sully sur Loire, St.Riquier, Piano Jacobin, Radio France Montpelier), Switzerland (at the prestigious Zurich Tonehalle), Russia (at the Saint Peterbourg festival and Moscow), Israel, Romania, Bulgaria, Serbia, Slovenia (in Ljubljana, Bled Festival, Celje, Gorizia), Croatia (Zagreb and Dubrovnik Summer Festival), Brazil, Peru, Portugal (Lisabon festival Folles Journeaus),Maroco, Lebanon (Bustani Festival in Beirut),Thailand, Japan,Canada,Luxembourg, Germany (Munich, Nurmberg, Hamburg-Schwlesi Holstain festival, ). Aleksandar Serdar played with such orchestras as the Dresden Philharmonic, Munich Philharmonic, Bremen Philharmonic, Slovenian Philharmonic, Sophia Philharmonic, San Jose Philharmonic, Cincinnati Philharmonic, Orchestre National de Lille, Orchestre National du Capitole de Toulouse, Belgrade Philharmonic, Zagreb Philharmonic, Athens Philharmonic,Vancouver Island Symphony, Saint Peterbourg Philharmonic, Israel Chamber Orchestra, Chamber Orcestra of Santa Cecilia, Haifa Sympohony Orchestra and conductors such as Marcello Viotti, Erich Kunzel, Leonid Grin, Emil Tabakov, Mendi Rodan, Jean-Claude Casadesus, Milan Natchev, Jeansuk Kahidze, Daniel Raiskin. Aleksandar Serdar’s CD,released by EMI Classics, in 1998 arouse strong interest from promoters and the press. His second double disc has been released in Louxembourg in December 2004. He has recorded a first CD for the Serbian discographic house PGP with Barock repertoire. 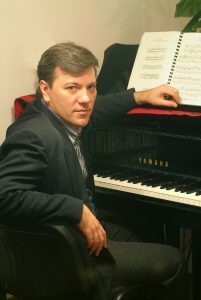 From 1999 Aleksandar Serdar is a senior professor at the Academy for music in Belgrade and appears as a jyry member at the national and international piano competitions. “Aleksandar Serdar is clearly thoughtful musician with imagination and personality” – Gramophone, February 1999. Barbara Szczepanska was born in Warsaw and graduated of the Chopin Academy in Warsaw with Lidia Kozubek and Teresa Manasterska. Postgrauate piano studies with Victor Mierzhanov, Tschaikovsky Conservatory Moscow, followed. The Oeuvre of Fryderyk Chopin and the piano sonatas of Joseph Haydn and Ludwig van Beethoven belong to the core repertory of BarbaraSzczepanska. Concert tours led the pianist trough Poland, Hungary, the former Soviet Union, Spain, Italy and Gemany. She played with renowned orchestras but also made her reputation as solist and as chamber musician. of the Robert Schumann Hochschule ,,Schumann Junior”. In addition she was visiting professor in South Korea, Taiwan und China. 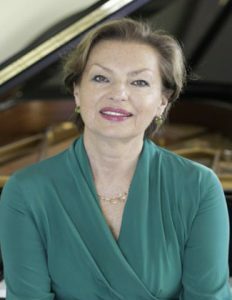 First prizes of renowned piano competitions , gained by her students, document the pedagogical success of Barbara Szczepanska. Among her students are Severin von Eckardstein, who won the ARD Competition Munich, the Queen Elisabeth Competition Brussels and the International Competition Leeds, and the internationally successfull russian pianist Nikolai Tokarev. Other students gainet prizes in the International Piano Competitions Johannes-Sebastian Bach Leipzig, Piano Competiton for Young Pianists Ettlingen, and International Piano Competition Franz Liszt Weimar. HINKO HAAS is considered to be one of the most prominent representatives of Slovene pianists. He studied the piano at the Academy of Music in Ljubljana with Dubravka Tomšič – Srebotnjak, with Rudolf Kehrer in Weimar, Claude Copens in Brussels and with Carl Engel in Bern. 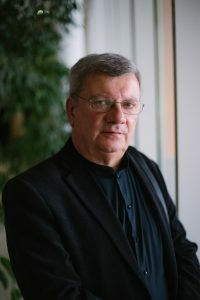 He recieved the Prešeren award of the Academy of Music, the Prešeren award of the University of Ljubljana and Julij Betetto award of Slovene Music Society. As a soloist and member of numerous chamber groups he has collaborated with several soloists and ansambles (Les percusions de Strasbourg, Taipei Chamber Orchestra, Igor Ozim, Jerzy kosmala, Wolfgang Panhofer, Ana Pusar Jerič, piano duo with Aci Bertoncelj, Ljubljana Piano Trio, Trio Syringa, Pro Musica Nova Ensemble…) and given concerts in Slovenia, Austria, Italy, France, Germany, Norway, Swizerland, Belgium, Russia, Taiwan, USA, Croatia, Serbia and Montenegro, Bosnia and Herzegovina, Mazedonia and performed with Slovene and foreign orchestras and conductors. He has been a guest of Ljubljana International Summer festival, Ohrid Summer festival and World Music Days 2003. Hinko Haas has recorded for radio and television companies in Slovenia and abroad. Publishing houses of RTV Slovenia, Helidon and Edizione pizzicato have issued his recording on 21 CD´s. His repertoire includes solo and concert works of all style periods. Contemporary Slovene composers write for him. Hinko Haas has also devoted much of his time to chamber music. Since 1992 he has been a piano professor at the University of Ljubljana – Academy of Music. 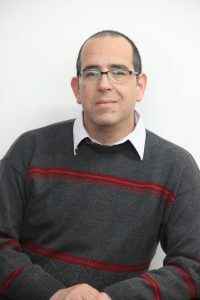 Yaron Rosenthal is one of the leading Israeli pianists, combining an international career as a solo pianist and a chamber musician. He has given recitals and chamber music concerts in Israel, North and South America, Europe, South Africa and Australia. Critics regard his unique quality of sound, sensitivity and depth of interpretation. Mr. Rosenthal has played as a soloist with leading orchestras such as the Philharmonia Orchestra at the Avery Fisher Hall-Lincoln Center in New York, the Israel Philharmonic Orchestra, the Jerusalem Symphony Orchestra, the RAI National Symphony Orchestra, the Ordea Symphony Orchestra, the Calgary Philharmonic, the Santiago de Chile Philharmonic and the Camerata Virtuosi of New York, collaborating with conductors such as Zubin Mehta, David Robertson, Mandy Rodan and Omer Meir Wellber. Mr. Rosenthal has won numerous prizes and fellowships, among them the first prize of the Young Artist Competition in Jerusalem, The Gina Bachauer Award, the Leonard Bernstein Fellowship at the Tanglewood Music Center, the Italian Government Award for the Arts and a special fellowship from the Banff Arts Center in Alberta Canada. As a member of the internationally acclaimed “Jerusalem Trio” he performs regularly at the main chamber music venues around the world, such as Lincoln Center N.Y, Wigmore Hall London, Concertgebouw Amsterdam and The Forbidden City Concert hall in Beijing. In addition to his performance activities, Mr. Rosenthal is a highly regarded piano and chamber music teacher, mentoring young gifted pianists. He has given Master Classes at the Jerusalem Music Center (JMC), The Sidney Conservatory, “Tel Hai” International Piano Courses and Liszt Academy in Budapest. He is a senior faculty member at the “Jerusalem Rubin Academy of music”. He studied in Israel with Prof. Benjamin Oren and Mrs. Pnina Salzman, and in London with pianist Murray Perahia. College of Music (RCM), London under the tutelage of Professor Frank Wibaut. He continued his piano studies with Professor Elza Kolodin and subsequently with Professor Beat Furrer at the Universitat fur Musik und darstellende Kunst Graz, Austria for music composition. such as England, USA, Holland, Austria, Germany, Denmark, Spain, Ukraine, Brazil and Japan with recent appearances at ‘Beethoven Complete Piano Sonatas Project’ in Singapore and he was invited to “Opusfest” International Piano and Chamber Music Festival, Philippines. He performed at 2014 “21st New Music Festival” held in Almaty, Kazakhstan and 2018 International Taipei Piano Maestro Festival. 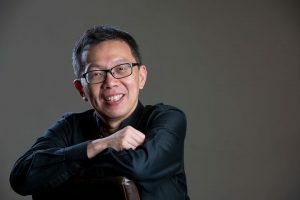 Chong Lim has served as juror of international competitions, including The 5th & 6th ASEAN International Chopin Piano Competition in Malaysia, The Jakarta International Piano Competition held in Indonesia and National Music Competitions for Young Artists in Philippines. Setiawan Tuanku Mukhriz – Associate-Order of Loyalty to Tuanku Mukhriz) by the Yamtuan Besar of Negeri Sembilan, Malaysia in 2011.